If you would like to read this page in another language, click the Translate link in the bottom, right corner. 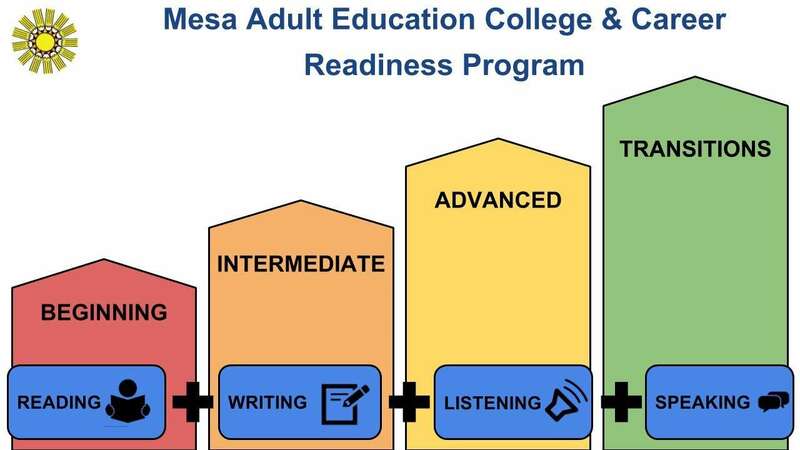 ELAA (English Language Acquisition - Adults) classes provide instruction for people who desire to improve their basic English language proficiency for college and career readiness. Classes are participatory and interactive and include listening, speaking, reading and writing activities designed to promote the acquisition of the English language. The classes are divided into four levels: beginning, intermediate, advanced and transitions. At registration, students are tested and placed in the appropriate level. Students must attend each step of the registration process prior to enrolling in an ELAA class.